This indigenous plant has a perennial, firm, hard, branching root, with a thick bark, and sends up several annual stems, which are erect, smooth, from eight to fourteen inches high, occasionally tinged with red. 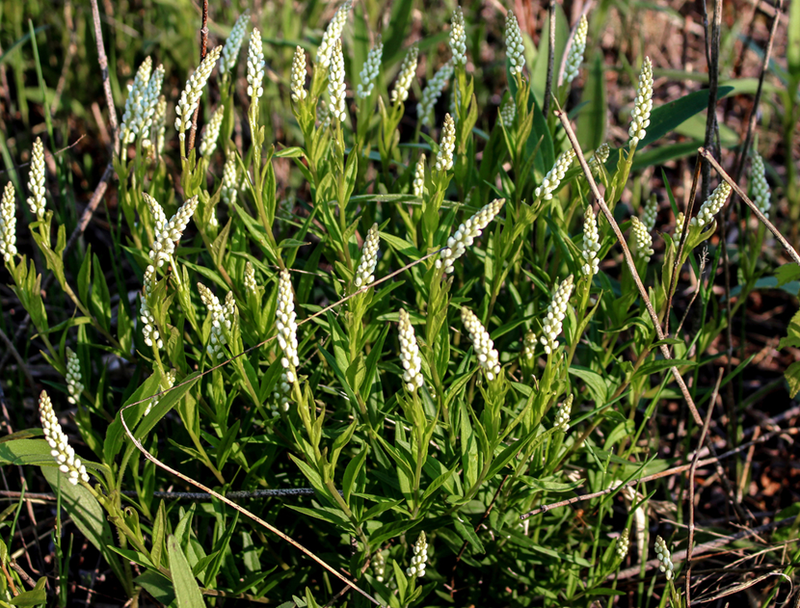 The leaves are alternate, nearly sessile, lanceolate, with a sharpish point, smooth; flowers white; calyx consists of five sepals, corolla of three petals; and capsules are small, two-celled and two-valved. Polygala senega var. senega L.